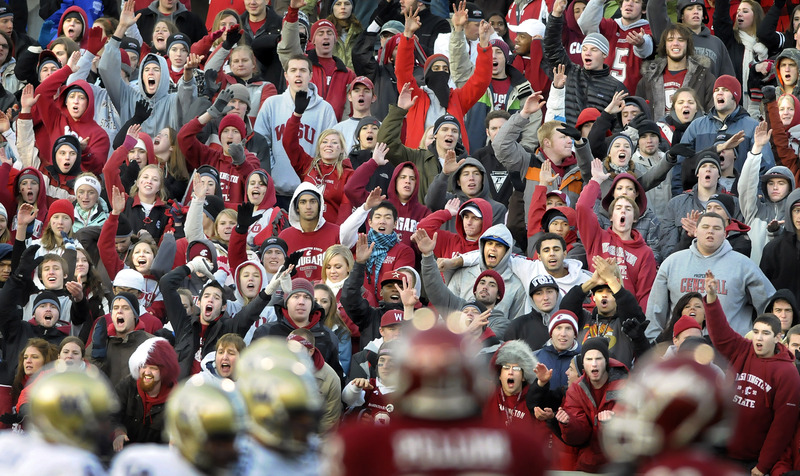 Join the conversation on the Apple Cup's move at SportsLink. WSU and UW would be guaranteed about $2 million annually beginning in 2010. Qwest Field would be considered a neutral site, with a designated home team each year. PULLMAN – Washington State University and the University of Washington are near an agreement to move the Apple Cup rivalry football game to Qwest Field in Seattle, The Spokesman-Review learned Wednesday. The agreement, which is expected to be finalized soon, would mean the yearly game between the schools would move off campus venues – Martin Stadium in Pullman and Husky Stadium in Seattle – and be played in the Seattle Seahawks’ home each season beginning in 2010. A source with knowledge of the agreement among WSU, UW and First & Goal Inc., which operates Qwest Field, confirmed some details of the pending contract but asked not to be identified because of the sensitive nature of the discussions. “It’s going to happen,” the source said. Bill Stevens, WSU sports information director, would not comment on the negotiations other than to say the school has been talking with First & Goal since the first of the year about continuing its annual game at the facility. WSU has played one home game each season at Qwest since 2002. The agreement between Qwest and WSU expires after the Sept. 12 game with Hawaii. “It would be premature to discuss specific games,” Stevens said. WSU athletic director Jim Sterk, through Stevens, also declined comment. The major impetus behind the talks, according to the source, is financial, with each school in line to be guaranteed about $2 million a year from the Qwest agreement. Because of a revenue-sharing agreement now in place, each school clears about $240,000 when the game is in Pullman and nearly $800,000 when it is held at Husky Stadium. The proposal has been vetted by committees at both schools. The response has been that “it would be fiscally irresponsible” to turn down the financial windfall, the source said. Tuition increases proposed by Gov. Chris Gregoire would add around $1 million in scholarship costs to the WSU athletic department budget. And though most athletic funding is self-generated, proposed university budget cuts could mean as much as $400,000 more would be cut from the department’s budget of nearly $30 million. “If it’s $2 million a year, especially with this kind of competitive athletic conference and especially when you’re dealing with the finances we have in the state, that would make a significant difference,” said Johnson, who is also a WSU communications professor. Apple Cup week is a financial boon for Pullman’s hotels and restaurants, but the hit would be mitigated by the return of the early-season Seattle game. “I am concerned about” Pullman losing the Apple Cup “because that is a huge revenue boost for this entire region,” Johnson said. “When Sterk was talking to me (about a possible change), he said they would move back … that other game, which is usually at the first of the football season. When the Cougars hosted the Apple Cup in 1950 and 1952 and from 1956 to 1980, they did so in Spokane. The game returned to Pullman in 1982 following a stadium expansion in the late 1970s. Since then, the game has usually played before a sellout crowd, though two of the last three have not. The game has drawn as many as 74,549 fans at Husky Stadium. Qwest Field holds 67,000. Under the terms of the proposed agreement, Qwest Field would be considered a neutral site, with a designated home team each year but the seating split between the schools, according to the source.